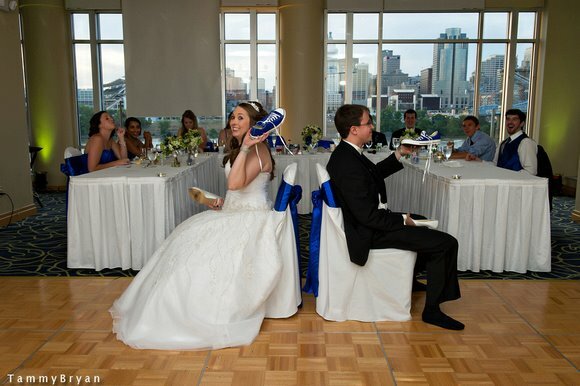 The Shoely-Wed Game is a fun interactive option where the bride and groom sit back to back in chairs each holding two shoes in their hands, one of the bride’s shoes and one of the groom’s shoes. The game show host will ask a series of questions about their relationship, then the bride and groom will each raise the shoe of the person they believe pertains to the answer of the question. Ex: Who is the most likely to kiss the other before going to sleep? The bride might raise her shoe if she thinks she is most likely to kiss him before bed, but the groom might raise his shoe because he thinks he is most likely to kiss her before bed. It’s always fun when the bride and groom answer the same but it’s hysterical when they answer opposite! We’ve added our own little spin to the game… of course we have a series of typical questions we bring with us but we will sometimes ask for audience participation to see what kind of questions the guests have to ask the newlyweds!! So there are a few ways dinner can be served…sit down, stationed or the buffet, this post pertains to the buffet line. Through the years we’ve realized how boring it can be to sit around and wait while other guests are released to head up to the buffet line, so we decided to spice it up, and what better way than with music?!? Replace your table numbers with Song Titles and let your guests know that their song will be played when it it’s their turn to head up to the buffet. The songs can represent just about anything but if you want to really make your guest feel special we recommend making the songs represent them! For example: if you have a table of people from Ohio State play Hang On Sloopy, it’s likely they will enjoy the song and maybe even start doing the O-H-I-O hand motions. While this does take time to select songs and coordinate, it’s always been a crowd pleaser! Did you invite a lot of kids or families to your wedding? Here’s and idea that’s not only a crowd pleaser but a crowd “awwwwer”! 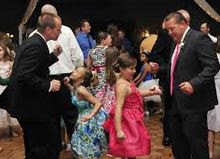 Start the father-daughter dance off the traditional way, half way through the dance invite the other father-daughters in the rest of the room to join. Make sure you pick a song long enough to give everyone time to make it out to the dance floor. You can take this same concept and apply it to the mother-son dance as well. With this little twist you’ll have everyone grabbing cameras and awwwwing over such a cute idea! The photo-booth has been around for years, and no doubt encourages guests to get silly behind a curtain and do inappropriate things! From the small two person booth, to the open air booth and fake mustaches props the photo booth has evolved over time. The NEWest photo-booth trend and our personal favorite is the Slow-Mo Photo-Booth! Yep, it’s a photobooth that actually slows your motions down and creates and awesome slow-mo video of your guests. Fun props include confetti, silly string, boxing gloves, bubbles and lots more. We recommend using Maxim Photography for this fun entertainment! 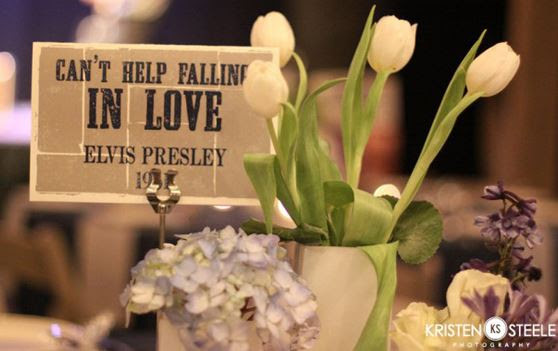 He comes prepared with great ideas and props that will keep guests entertained for hours. The Unexpected WOW Factor…aka the CONFETTI SHOT! 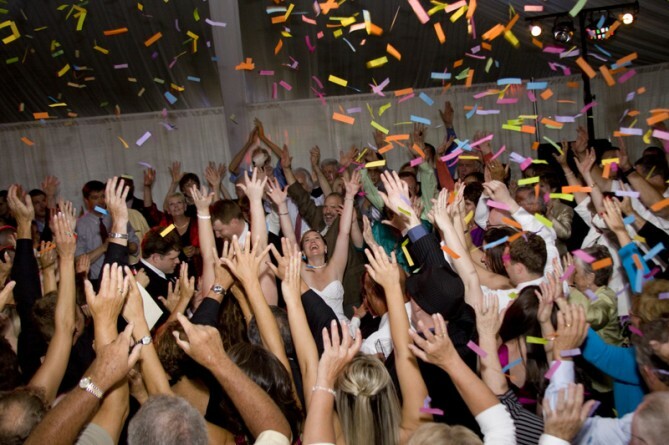 It never fails that when guests see a confetti falling down from the ceiling they all yell “AAAAHHHHH” (in a surprised-in-a-good-way-kinda-way) Whether it’s during your introductions, first dance, group photo or last dance of the night, this inexpensive option if perfect for every event. This Party Pleasers staple will keep guests talking about your event for a loooong time after it’s over. If you’re worried about candles don’t because it’s fire/flame retardant, if you’re worried about leaving a mess at the venue don’t because it’s large enough to quickly vacuum and if you’re worried about it matching your colors well don’t do that either because there are lots of color options! Have fun, and add the confetti shot! 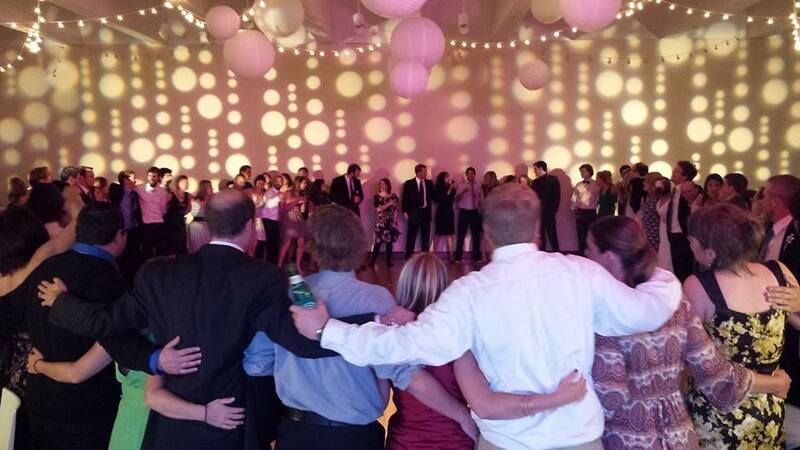 Every wedding has that awkward dance circle during the reception. As entertainers we quickly noticed that without some direction these circles can take over your event and leave guests on the sidelines watching instead of celebrating. At Party Pleasers we like to take advantage of this group circle opportunity and challenge ourselves as entertainers to see how many people we can get to join in on the fun or how big we can make the circle. Majority of the time the circle ends up the size of the dance floor because of our interactive options happening inside the circle. From sing-alongs to worms, group dances and family dance-offs we keep the excitement going and dance floor packed with entertainment. Don’t be afraid to ask us about our awesome circle experiences and share some funny stories with you! You can also see some video footage of real Party Pleaser events on The Knot and Wedding Wire!